Posted: Monday, July 16, 2018. 11:08 am CST. 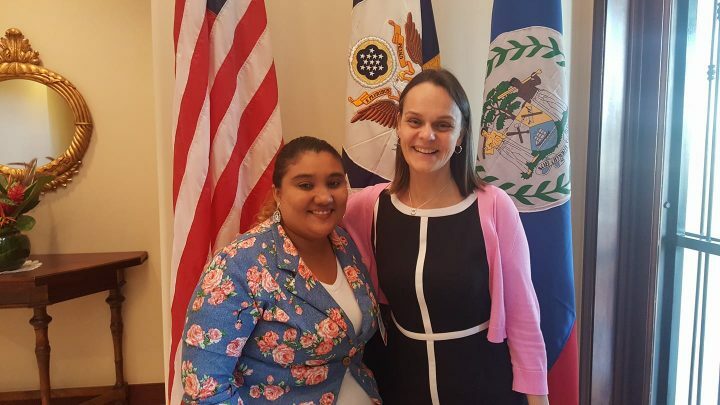 By BBN Staff: Prominent online Belizean journalist, Zoila Gonzalez, a member of our Breaking Belize News staff has been selected to participate in the United States Department of State’s International Visitor Leadership Program (IVLP). Annually, IVLP candidates are selected solely by U.S. embassy personnel in each country. On June 7, 2018, BBN reported that Gonzalez was nominated for the Program. Today, Gonzalez received her official invitation from the United States Embassy in Belize. Gonzalez will participate in the U.S. Department of State’s Multi Regional International Visitor Leadership Program (IVLP) on “Building Digital Literacy and Media Responsibility in Democracies in the Digital Age”. The IVLP is the flagship professional exchange program of the U.S. Department of State. The program emphasizes the Department’s continuing interest in introducing young professionals from a wide variety of fields to the U.S. at an early state in their professional development. BBN’s editor describes Gonzalez as a ‘phenomenal journalist’, who contributes invaluably to the continuous growth and development of our organization. Gonzalez plans to document her experience on her personal Facebook Page, Zoila Palma Gonzalez with daily journals, picture and videos. The IVLP is the U.S. Department of State’s premier professional exchange program. The cultural and professional exchange program was founded in 1940 and sees over four thousand participants benefiting from the training and cultural exchange programs in the U.S. It is administered as a partnership between the U.S. Department of State, World Learning, private sector partners in Washington D.C. and cities around the U.S.
BBN thanks the United States Embassy in Belize for this invaluable opportunity, which will undoubtedly contribute to the proficient and ever changing digital evolution in Belize.